Obviously he's been subjected to too many tweets from The Donald. "All uniques are equal, but some uniques are more unique than others" ? 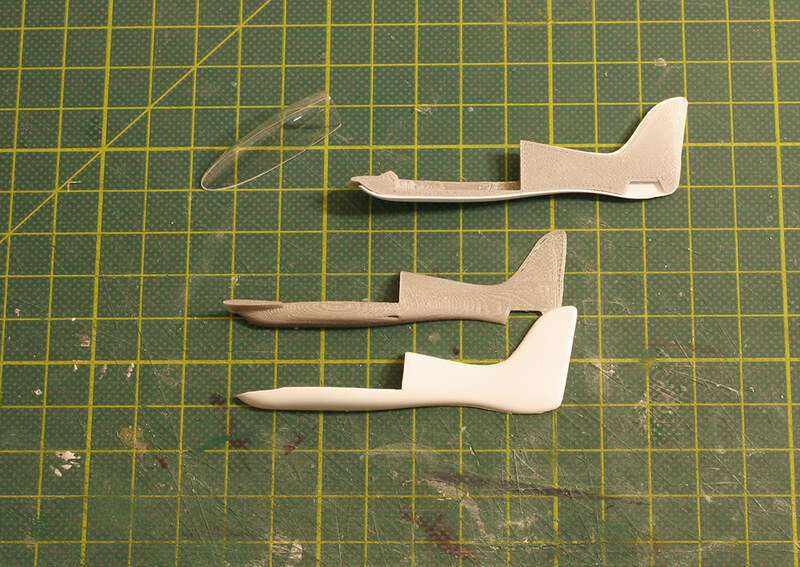 Here's the fuselage halves and the canopy. 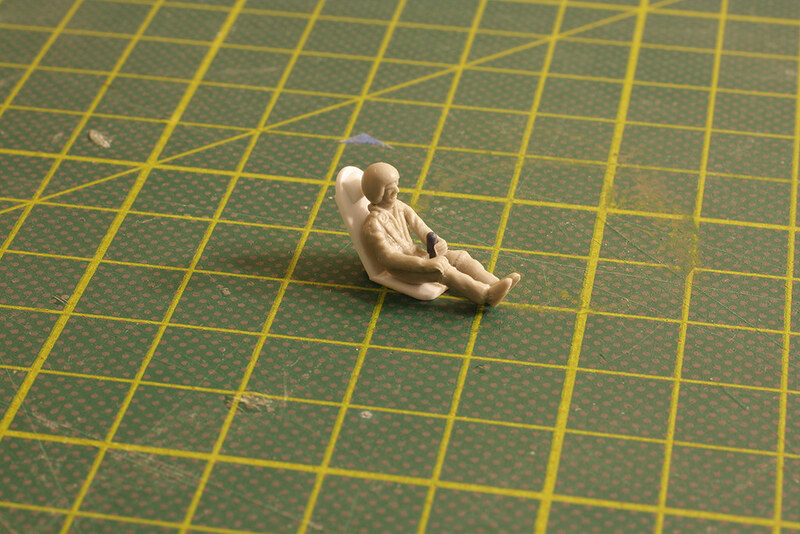 I've 3D printed some inserts, which I tend to be doing on all of these parts. Our intrepid pilot and scratch built seat. The pilot has been a challenge in itself. 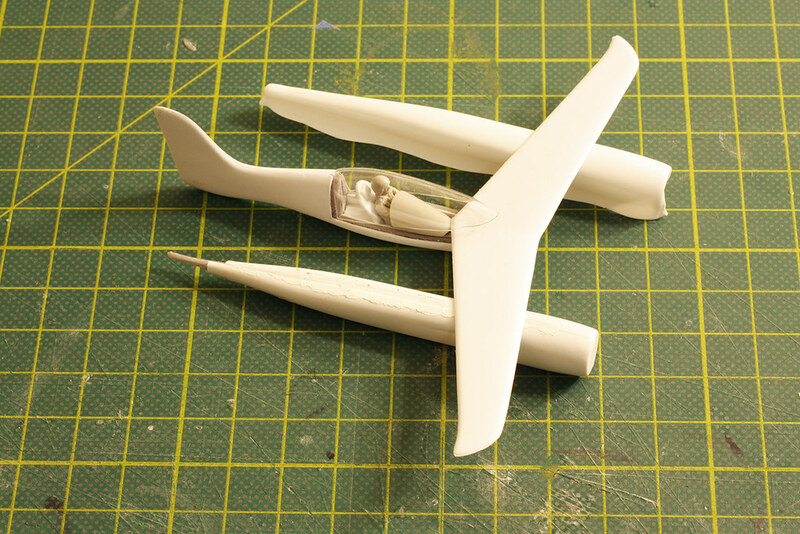 For one, most of the eligible candidates in the parts box were fighter pilots with oxygen masks and associated flightgear. That didn't seem to make much sense for a Reno racer that never goes above a couple hundred feet. This guy is from an old Hasegawa UH-60, unfortunately he didn't fit in the tiny Pond Racer cockpit. So his legs were cut off at the knees and repositioned. I wanted his hand on the control column so his arm and hand where also removed and repositioned. The fit in the cockpit is still tight, but I think it will work. Engine/battery booms with 3D printed inserts. Finally, here is roughly what it will look like when it's put together. Is there room to move the pilot further back? Warbird and racer pilots seem to use masks to ensure that they are breathing good air and not exhaust gas. That might not be an issue with an electric racer. 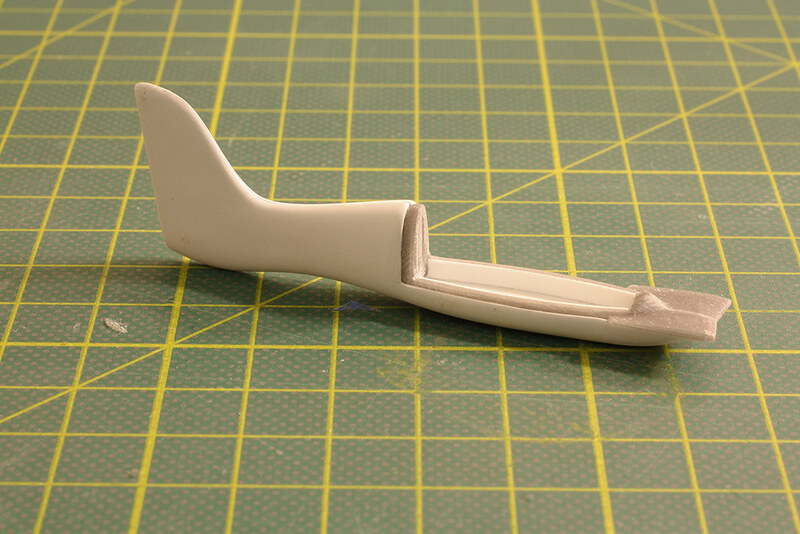 Your fuselage construction method is very clever (almost very unique.... ) Did you scale down the interior 3D print to fit exactly inside the vacforms or file down one of the original 3D prints? 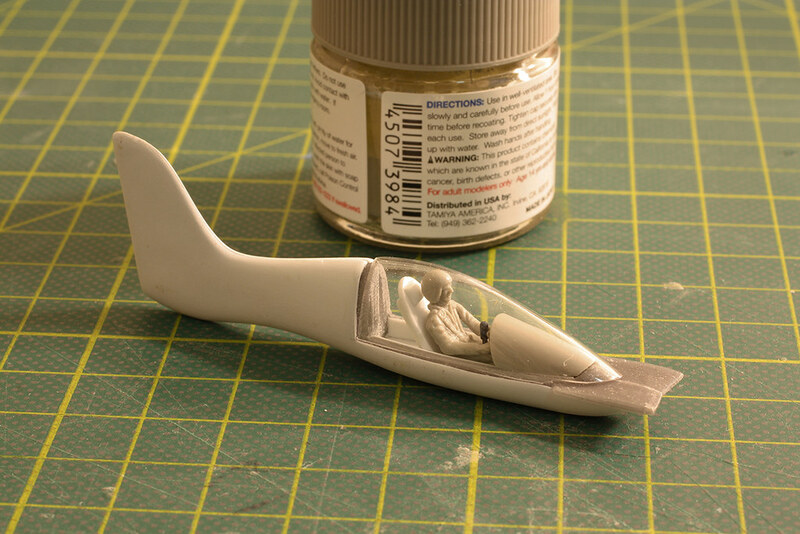 Did you scale down the interior 3D print to fit exactly inside the vacforms or file down one of the original 3D prints? I altered the original 3D file so there was a cutout for the cockpit and the tail wheel, but I didn't have to scale it down. 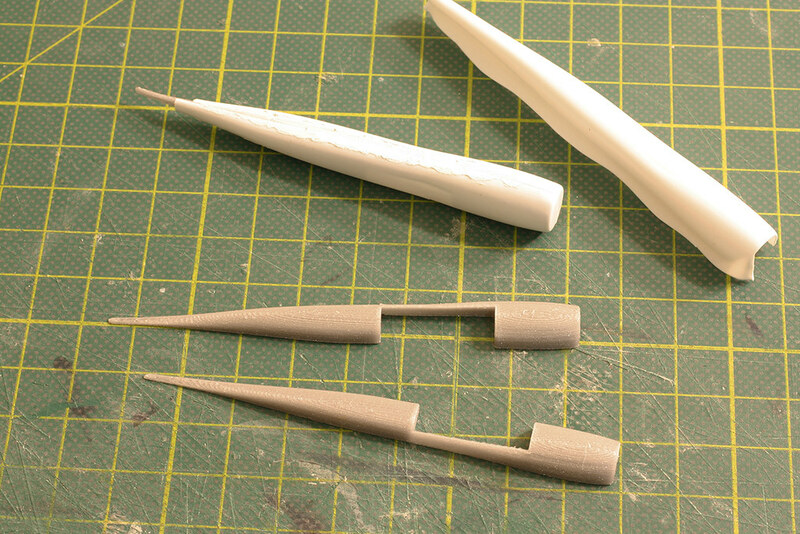 It's the same piece I used for the mold, so the 3D printed part fits snugly inside the vacuformed polystyrene shell. Does that make sense? That's looking really sweet! Even though I hope that it will look somewhat different from the original Pand Racer. It certainly does, yes, and thanks. After I'd written the question it occurred to me that that method would make most sense, but by then it was too late and I'd posted it. And... there goes the "competition" part of the Racing GB... looks like the race is for second place! Ha, Kit whooped me last group build! Besides, my Pond Racer is far from finished, it could easily wind up a disaster. I love the Pond Racer so much I'm afraid if I make any major changes it will take away from it's, um...Pond Racerness.